Main actors involved: the students in 6th grade and the teacher who teach at that class. Popescu is a child with attention deficit of attention and hyperactivity disorder (ADHD). ADHD is the English abbreviation of, Attention Deficit Hyperactivity Disorder ", a type of behavioral disorder that appears more and more often as a diagnosis for children and teens. These children do not rest, are in a permanent move, tend to interrupt someone's speech and to talk without being asked; often come from abused, traumatized in childhood. As a teacher I am interested to help students become attracted to learning, to find effective solutions for students, create problems ".Such a child is Popescu who at first I noticed that has two big problems, inability of keeping still and chewing in the classroom. Then I noticed a low degree of involvement in actions with his peers (low capacity of effort), does not comply with the rules for the class or school, exhibit a very high degree of indifference towards the teaching activities (bored), is poorly motivated, excited, give up easily at the tasks involved. The strategies of behavioral intervention plan required a coherent educational methods tailored to ADHD. At the same time, this set of interventions and differentiated approaches were coupled with individual and family counselling. With his parents we have appealed to the evaluation and recommendation of treatment by a school counselor. A first necessary step to help Popescu was to convince him to accept a constant support from both my side and that of the specialized counselor and to accept a special condition which he has compared to the others. Taking care of a child with ADHD is not an easy task, and is an ongoing effort marked by frustrations and problems often seem overwhelming at a time. The first principle that should not be forgotten by teaching staff and parents is that these kids can learn very well and often only depends on the ability of adults to identify appropriate solutions to convert symptoms in notable advantages for school success. The child was well integrated in the community, has spent some of his free time in the families of colleagues or to extracurricular activities organized by the teaching staff and school management. - poor collaboration between the institutions dealing with children: family, school, police, local authorities. Message: Children with adhd can cause problems but also themselve. Since they can not stop themselves and concentrate on in many times, they can not learn properly. As it was mentioned in the passage, many positive results can be achieved thanks to applied good methods . In addition to this, students with adhd also get benefits like having interest obn school activities, beter peer relations and beter development in terms of social emotional. Message: We see a success story of a child with one of the most common disorder Attention Deficit Hyperactivity Disorder which gives a child maximum energy to move but minimum motivation. It is very common for a teacher to come across with such sorts of students. This story can be seen as a great example for describing the academic or social life of a student who has this disorder. They have many problems. They do not have self-confident or motivation. They don’t have self-encouragement or desire to take part in the activities which are carried out in the class. They have a tendency to obey the rules for the school, at least, for the classroom. They also try to bother others in the class. But it does not necessarily mean that we cannot educate them. By giving appropriate support to them we can help them to solve their problems. But we have some steps to follow so that they can come over these problems. Firstly, we should convince the student to take our support. We all know that it is not easy to deal with this disorder. It needs patient. Another thing that teachers or parents had better not forget is that those children who have this disorder is the fact that they have the potential and the ability to learn. And they should keep in mind that it has dependence on the adults’ skill of determining correct solutions that will change symptoms into very important and visible advantages for the behalf of their academic life. To solve this problem from the perspective of a teacher, the teacher should know in what circumstances the student lives, in other words, where he/she lives. The teacher had better know the home environment which surrounds the student. In order to have any kind of little information about it, the teacher can organize parental meetings or face-to-face meetings. With the parental guidance, the education of a student with this disorder can be successfully achieved. Message: In Portugal there are unfortunately too many diagnosis of Attention Deficit Hyperactivity Disorder. All the children that display unusual motor activity, who need to be more stimulated than others so that they keep focused on what is going on in the classroom are wrongly diagnosed with ADHD. These children end up being treated and medicated for something they do not have and as a result the results are far from those that were to be expected. Why? Because they do not have ADHD, just as Popescu didn’t. Similarly the strategies employed by the teachers do not work either. I believe it is of paramount importance to inform parents, school staff and teachers about the true symptoms and signs of ADHD, so that this condition can be properly diagnosed and so that adequate strategies are put in place to deal with this issue. It is also important to teach the other children to accept children with these characteristics, so that the latter can feel understood, integrated and be socially accepted. Message: The experience Read describes the case of a sixth grader , Popescu , Enrolled in a secondary education Vorona , Romania . Detects the student teacher Popescu That damage behaviors Their teaching -learning process. This is consistent behaviors : such as restlessness, lack of motivation , lack of interest towards learning , lack of effort , low participation , breach of rules , Regulations , etc. . .
Every day more faq frequently detected cases like Popescu , who May or May not be Diagnosed as a disorder attention deficit hyperactivity disorder ( ADHD). This disorder , or overdiagnosis of it has-been Criticized heavily since it is Considered That the disorder has-been abused to label children and youth problem behavior. I think we need to be attentive in the classroom , not only to the emergence of disruptive behavior, excessive movement , excitement , etc. . . Since the existence of alumni / ae With This type of behavior does not Have to be a disorder . However , Especially When dealing with older children, if we look at the student / To Become aware of the ideas importance in your life Representing academia and yet we continue to see this type of behavior , then we can ask Whether it is simply a student / a That with behaviors impede access to learning or May be a specific disorder . Sometimes , ADHD does not Have to Involve too much activity , nervousness , restlessness , aggressiveness , etc. . . That is why the DSM -IV considers three types of ADHD. One in Which hyperactivity , attention deficit another in Which dominates but does not have appreciated Particularly hyperactive behavior, and a third is a combination of That hyperactivity and attention deficit predominates . Recognition of this dimension leads to triple Especially watch those alumni / ae who fail to Achieve the expected results . This is to rule out other factors : such as family problems , poor psycho - social context stimuli Toward motivation and learning , reasoning Difficulties , poor previous experiences , etc. In the student with ADHD manifest or manifest inattention can only be seen further Difficulties in problem solving, even though the student does not have difficulty reasoning and when to offered Preferred aid to understanding the problem can to resolve it with Ease, Also seen in These students how not Comply with a rule or order DESPITE having formulado directly. Often These students seem unwilling to May obey and follow the rules but in many cases is That Either Have Not heard the order or forget easily. Sometimes doing lot constant expression of loss, withdrawal or attention to many stimuli Simultaneously look without actually internalize any.Cuando suspicion of a possible ADHD in a student, the involvement of the family and of the human and material resources of the center, is essential. Currently the school psychologist must send a report to Mental Health to assess the student's diagnosis. I think its time the involvement, participation and awareness of the student is the most important aspect of treating the disorder. Currently I work with a student who is being processed for a report to Health assessment of possible ADHD. The student was evaluated for the first time when I was in second year of primary education, due to aggressive behavior and excessive activity showing . The counseling center at the time issued a report of aggressive behavior on the students but was not diagnosed with any syndrome or disorder, intelligence tests also gave an outcome of a medium - high IQ. The student continued studying Elementary Education with certain difficulties in achieving the objectives promoted although all courses. He is currently in the first grade of secondary education and , although it has been integrated into the classroom with peers, continues to display certain behaviors of concern and nervousness. These behaviors have not worried too much about the teaching staff of the student, however, poor performance , largely caused by the lack of attention shown in class as well as the lack of effort on tasks that require a certain level of concentration have been observed and accounted for peers. The case has been referred to the counseling center who has done the appropriate tests and has been in contact with parents. The parents are collaborative, recognizing the shortage of effort from your child stating that they are " discouraged " or "does not know what to do ." For now launched a small program points , whereby students receive rewards according reaches certain goals set in the program and agreed with the student and family . Such circumstances appear very often in schools, since students have different abilities, interests and needs and in some cases we find these students. The first hurdle to overcome in these circumstances is to be concerned by the students themselves, as does Nina Maria Lupu, showing concern about the interests and needs of the student in question themselves. Similarly we must know what the home environment, ie meet his family and surroundings. Sometimes we find a lack of support from the same partners, whether the students themselves and sometimes other co-teaching. Involve Popescu in class with their classmates, put in the teaching-learning process to make you feel one more, is the first step to feel integrated Popescu, at school and in their own environment. Another important factor in these cases in the family communication step, this is the highest support Popescu must have in your daily life. As Nina shows Maria Lupu, school-family communication is very important for a child Attention Deficit Hyperactivity Disorder achieve its goals, and that working with such learners is very steady and continuous. In my opinion, a notable aspect in this type of circumstances, extracurricular activities play a very important role to involve these students in both the educational community and in their own environment. Currently in my class there is a student group with such characteristics, the specific difference to the previous case my group is a set of adult secondary. Dicho alumno proviene de un ambiente de pocos recursos, lo cual ha influido de forma notable en su comportamiento. Regarding peers, sometimes act ominously behind bawdy, interruptions of classes, etc ... by the student in question. Being an adult center, I have no contact with the parents of the learners. However, there is great support from other teachers and we all work together for this student involvement than the rest. On a personal level, my job is to listen all the concerns of this student to work every day with him and find out what their needs and interests are every day, because at this age moods, attitude, etc ... are constants. Have recently been testing for qualification as compulsory secondary education for adults, although we are expecting the ratings from the administration, we are very pleased with the effort shown by all pupils and this in particular. Message: The experience of choice has been the work of a teacher with a child with attention deficit hyperactivity disorder, enrolled in the sixth grade of primary education . Reading on , it shows that experience has been positive from the point of view of teacher labor because it achieved the objective raised in your answer , showing great interest and continued support Popescu . The main objective of the teacher is merely serve students in their classroom and maximize participation - student collaboration with their peers , requiring cooperation from actors outside the classroom, as would be the teacher / a educational support (understood this teacher / a teacher like that responds to diversity ) and family ( key to the education of students / as attention deficit hyperactivity element). 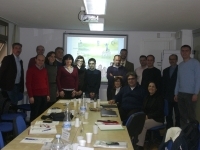 I believe that the work of teachers has been adequate since applied a specific educational approach for students with attention deficit hyperactivity disorder , since this group require learning strategies to control their behavior and attitudes , but it was not enough control impulsivity and the need to chew in the classroom: therefore the needs presented Popescu , as are not addressed. To do this, the adaptation of the methodology and practice of teacher education students' needs , adapting to its characteristics and peculiarities have been. Along with this, another remarkable aspect of experience, is the emergence of school counseling, as this is the one to tell the teacher / what strategies to develop, how to implement certain agreements, for a good development of students, opening the way gradually for future similar situations that other colleagues / as work can be found. Meeting with external participation constraints, where these agents displayed an indifferent attitude to education without getting to know the importance and value they have to offer a quality education response. Are essential elements, forming a triangle of education faculty, families and students, which makes your attention, motivation, teaching and learning is satisfactory and effective. Message: The teacher has to be very conservative person to understand that a student has this kind of syndrome. I agree with all above colleagues. I think that the child should be properly evaluated before reaching a diagnosis and begin treatment. Parents should talk to their teachers about the child's progress , for any learning or social difficulties and the homogeneity of the anomalies between home and school . In many cases , a solid educational program , with the agreement of parents and teachers , tailored to the child's abilities , it is a good first step. If a child requires a more detailed assessment of cognitive abilities ( eg it can be collected to the extent expected from chronological age ) , a psychometric test will provide useful information. This is performed by school and clinical psychologists. The documentation of the diagnosis of ADHD is usually made by a psychiatrist, taking into account the findings of teachers and school psychologists. In some cases take place and pediatricians in this process . The clinical evaluation should include a history of the parents and observations from the clinic and school, as well as a brief contact can be misleading . A school visit is also a good starting point to discuss and initiate a public plan control . Whether they have neurological examination or other medical tests will depend on the presence , for example, neurologic signs (which are not noted feature of ADHD), or prior to start medication. Message: The following experience stressed the complex problems that teachers have to face when dealing with ADHD students. The aspect that I share with my Rumanian fellow teachers, is the teacher’s awareness of Poupescu’s intelligence potentials: on the one hand, this aspect gives certainties concerning future learning; on the other hand, teachers have to face the problems of how to realize them, taking into consideration the short attention times and the frequent moments of physical instability. The first intervention that has been appropriately carried out, has been educating Poupescu so that he could accept help . It is not easy to make these boys and their classmates understand that a teacher can be fair, and must behave in different ways with each one of them, according to the specific educational need. The proposal regarding extra-curriculum activities is extremely positive especially when the relationship with peers is at stake. However, I wonder: how must strictly curricular activities be re-organized? In Italy this illness is acknowledged by the law as “Bisogno Educativo Speciale” (BES), “Special Educational Need”, and it involves a personalized Educational and Learning Plan. This intervention is carried out by teachers in school board only, without the support form a counselor or am educational psychologist within the school itself. In secondary schools, the permanent presence of such a professional figure is not required; thus, teachers cannot permanently collaborate with an educational psychologist in order to help the formative success of these students. Personally, I have never had a student suffering from Attention Deficit Hyperactivity Disorder. I believe that possible alternatives that can be proposed can concern: a thorough planning of lesson times, an educational methodology essentially based on the practical aspect of subjects, the use of different educational methods during class, that can be alternated in a short given time. Message: Ignorance in this case is blameable. Unfortunately more and more children are diagnosticate with ADHD and some parents almost do not want to accept it. They consider that is an offence for their family to warn them about their own child’s symptoms and any discussion on this subject. For a teacher who have to teach 32 students is very difficult to deal with one ADHD person. It is mandatory to have an other teacher/psychologist to help, accepted by the kid and who know how to work with this students. Lack of information make me live an unpleasant experience according to the case. A mother interdict me to even suggest that her child may have ADHD. Discovered in time ADHD can be controlled and child may solve his problem. The information is important also for parent and teacher for child not to become a victim, to avoid school failure and rejection from class members. Message: Children suffering from ADHD syndrome are unfortunately becoming more. I believe that informing parents, teachers regarding specific issues and how to integrate these children are absolutely necessary. Equally important is the exchange of experience in order to identify any news, successful approaches. •	Personally I have not directly confronted with this situation but I know enough cases from colleagues or parents, and each time I found the same problem: lack of information about the causes and manifestations of ADHD. Not only parents are ignorant in this regard and teachers have many shortcomings. Therefore, it creates an attitude of rejection, hostility. The child is considered guilty, careless, naughty, he is punished, he is feels misunderstood, isolated and can become very large school failure. Teachers are justified by the need to pay attention to all students, parents often refuse to admit that their child has this problem and all the chaos of ignorance keep the child as a victim.